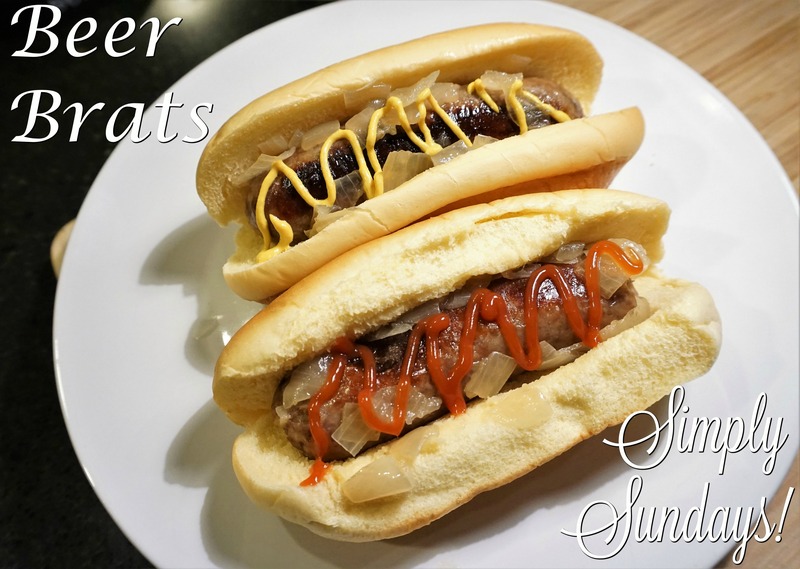 Beer Brats – Simply Sundays! My advice, get a glass and drink it! Once they have a nice brown sear, I put them back in the beer bath to rest and absorb even more great flavor! Lets serve them with some of the onions they have been cooking in and your favorite toppings! Does this cook out the alcohol? Can it be served to kids? Hi, yes, the alcohol is cooked off and it’s safe to serve to kids. Hi Wendy – we’ve tried the brats in the pressure cooker. 15 minutes under pressure then natural release. Saute to brown up a bit and put back in the liquid to keep warm. Such a time saver! How long do you cook them in the Insta pot? Hi – we cook them in the instant pot for 2 1/2 hours on slow cook.